Is gaming on mobile phones popular? Video games have been around for a few decades. And with the growth of mobile phone use, the mobile gaming industry also grew. Gamers are shifting their attention from consoles to their mobile phones. There are about 2.1 billion mobile gamers in the world today. From the US alone, there are 193 million of them. Majority of those who play mobile games play every single day. Worldwide, 56% of mobile game users play more than 10x a week. Believe it or not, 23% of mobile gamers are more than 65 years old, followed by 24- to 33-year-olds at 21%, then by 35- to 44-year-olds at 19%. Those aged 13 to 24 years old only comprise 22% of the population of mobile gamers. Sixty four percent (64%) of mobile gamers are women and they also spend more on mobile games than men (36% vs 31% respectively). And a number of people also spend time gaming on websites, like on a mobile casino site. It is therefore not surprising that, from USD 12 billion in 2011, the mobile gaming industry turnover is over USD 50 billion in 2017. If this trend continues, the industry will breach the USD 70 billion mark by 2020. More than 80% of Apple’s iOS and Google Play’s profits come from mobile game apps. 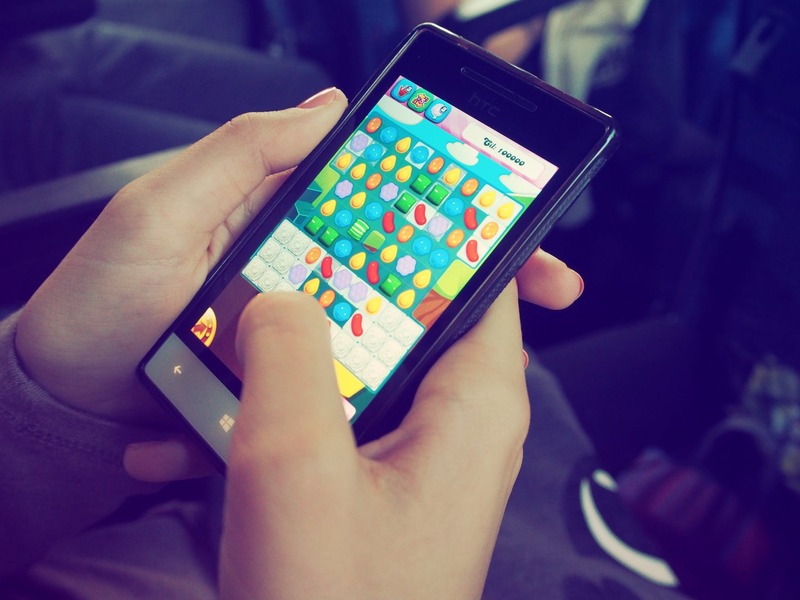 Top mobile game grossers are Candy Crush Saga which earns almost USD 1 billion every year, followed by Candy Crush Soda Saga at USD 614 million per year. With the popularity of mobile games, businesses want in on the action. They buy “airtime” in mobile games to advertise their products and/or services. Everybody brings his mobile phone everywhere. And in between breaks or commutes, it is far more convenient to play a game on your mobile phone than on a console or a PC. A mobile game may only cost USD 3 while a console retails around USD 300. Then you have to buy a video game which costs USD 20 per game. Let’s not count the upgrades you can add to improve your gaming experience. Mobile games are simpler than their console counterparts. There are fewer controls to master and simpler game play. Having fewer choices on mobile games may be a good thing if you don’t like complicated instructions. Developing console games is the speciality of big companies like Nintendo. But smaller companies are known to come up with mobile games. Take Angry Birds for example by Rovio Entertainment. Innovations in mobile technology allowed the surge in profits and development in mobile gaming. And thanks to unlimited data plans, faster processors, and better mobile graphics, the mobile gaming industry will continue to grow.